Vine-ripened plum tomatoes, fresh cream, and basil make for a rich, creamy sauce. Vodka helps balance the sweetness from the tomatoes and cream, while adding bright sophistication. (Don’t worry, all the alcohol is burned off in cooking process!) Enjoy over fresh pasta and garnish with Parmesan cheese for a delicious taste of Italy. 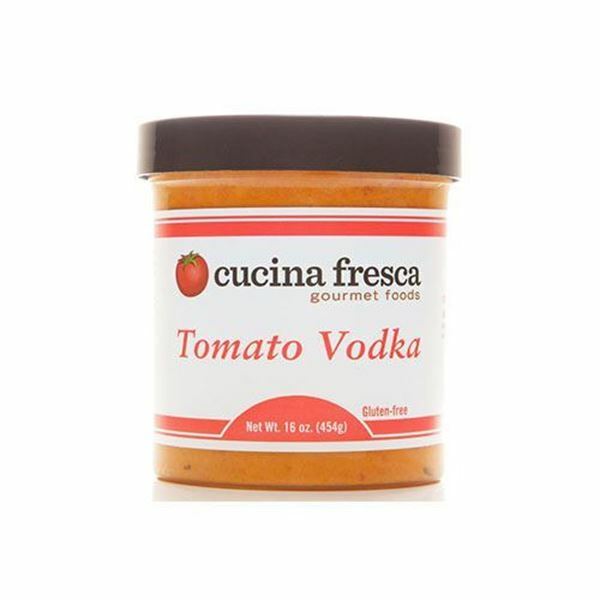 Get Cucina Fresca Tomato Vodka Sauce delivered to your door. Absolutely the best I've ever tasted! I LOVE love LOVE this sauce!! It doesn't have sugar or anything that bad for you. (already cooked kind) and grate parmesan cheese over it. Sooo tasty . . . tempted to eat it right out of the jar. And good for you too. Love this sauce. Tastes fresh, smells great, and not heavy. Could use a little more salt to taste. I don't like having to add extra seasonings unless it's red pepper flakes to spice it up. Tastes like I remember from a NJ Italian restaurant! 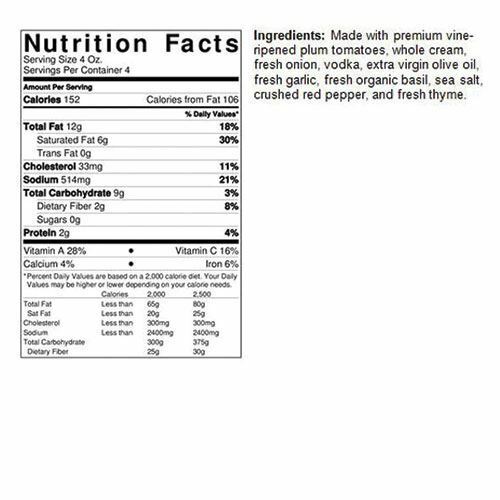 Yummy and perfect for 1lb pasta. Pairs really well with nice spicy italian sausages, spaghetti and red wine.